Happy Tuesday, everyone! Last week we went to my parent’s neighbor’s garden to see the chickens and the flowers, and wow it was gorgeous!! 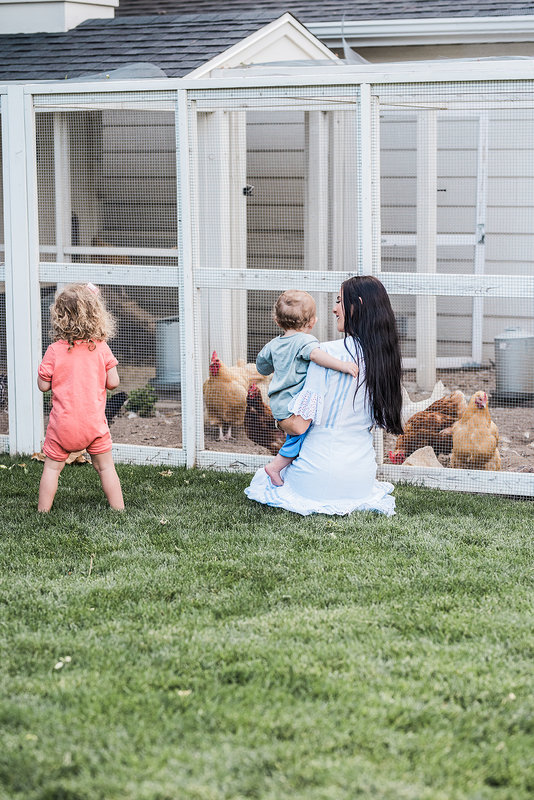 Isla and Jackson were so intrigued by the chickens, I love experiencing things with my kids for the first time! I know I’ve been talking a lot about fall and fall trends but looking back at these photos from this dreamy night I never want summer to end! How do you guys feel about fall officially starting this weekend?! You are looking absolutely wonderful in this dress! Your sunnies are sooo cool! I can’t believe it is already going to be Fall! I still wish I can wear summer dresses like the one you are wearing! So beautiful! I loved chickens when I was little too :) Such a gorgeous look! That is such a pretty dress! Perfect for spring through early fall! This was one of my most fav summers, but I am so excited for fall!! I am SO in love with this dress…absolutely gorgeous!! Still obsessing over that Chanel bag!! ?? Such a pretty dress on you. 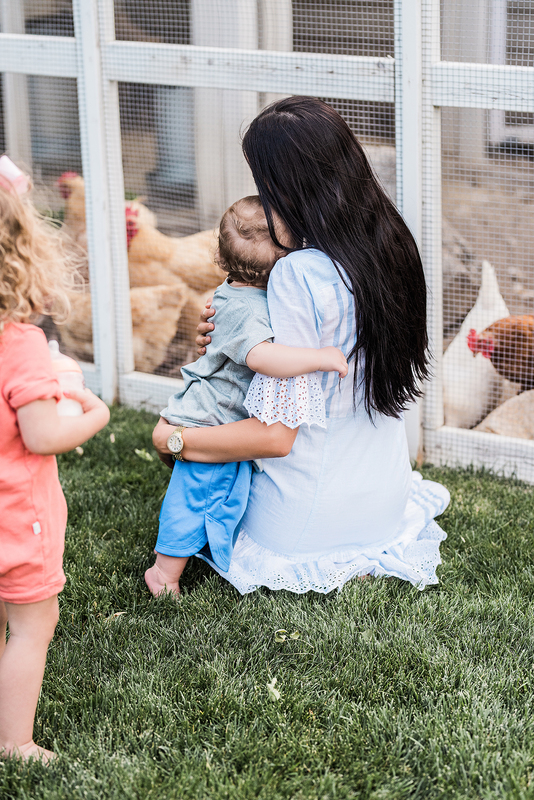 And the photos of your kiddos snuggling up to you are so precious! It still feels like summer here so I’m ready for some fall weather to kick in. 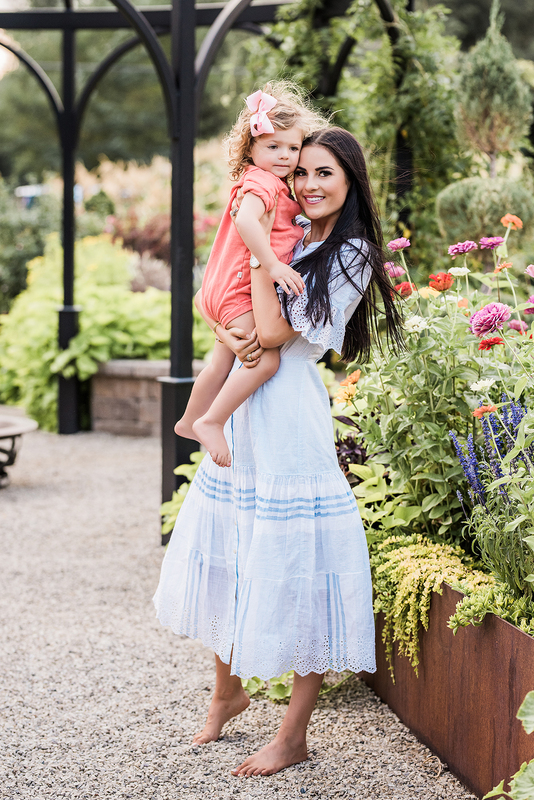 What a beautiful Summery dress! I love the details and the color, but I’ve got to say, I am way too ready for fall at the moment! I want to leave summer in the dust :). Still such a gorgeous outfit. The blue is so pretty on you, loving it! What a pretty dress, Rach, and I love the color of that Chanel, so pretty! I look forward to doing these sorts of things with my little girl, as she gets bigger (she’s only 2 months now). Thanks for sharing and I hope you’re having a great week so far!
? This year flew by, I cannot believe September is already coming to an end!
? KELLYSVIDA.COM | Lifestyle + Parenting Blog | ??? I’ve been loving these large sunglasses on you with the straight hair. Its giving me such 70s vibes! 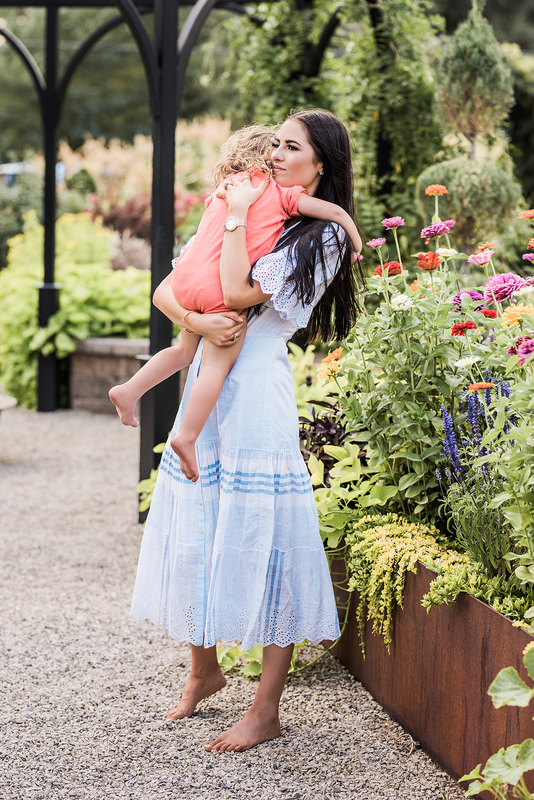 lovely post and love the dress!